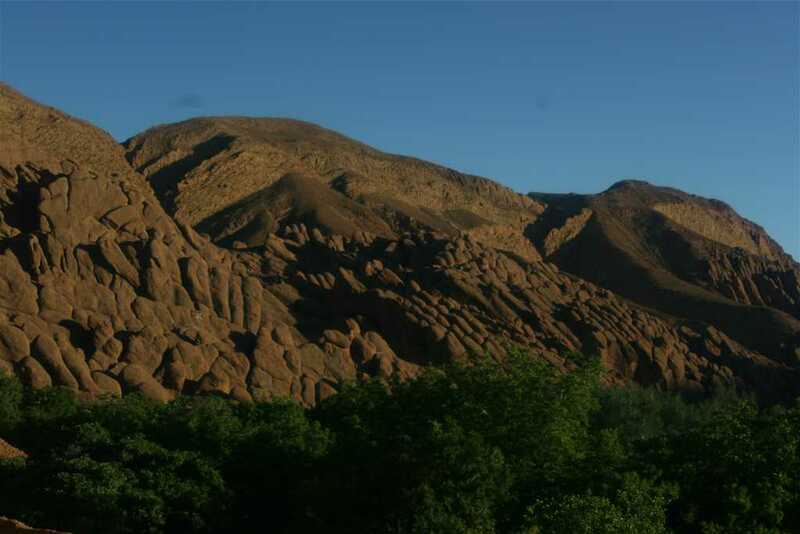 Morning departure at 8 o’clock from your hotel or riad in Marrakesh to cross the High Atlas Mountains. 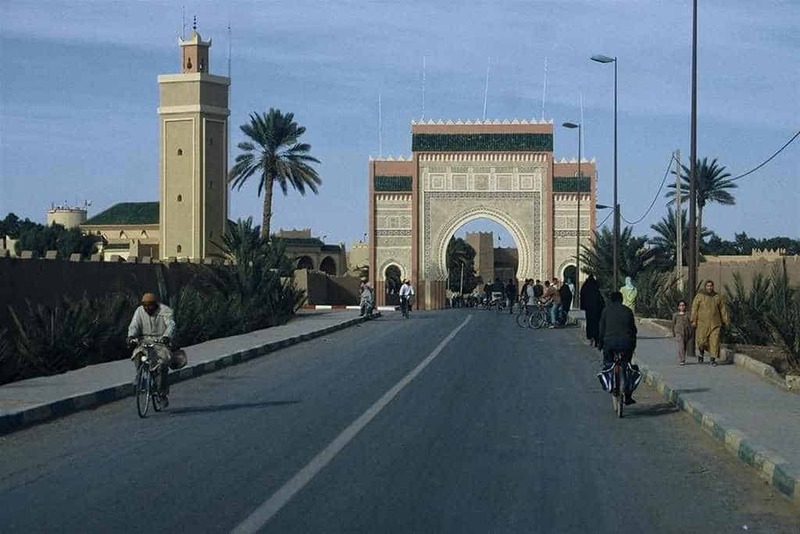 After the Tichka pass, you leave the main road and take a side road to the Telouet Kasbah, which belonged to the Lords of the Atlas, the Glaoui family, and which now stands in ruins after the last Pasha fled the country, following the departure of the French. From there you continue for lunch at Ait Ben Haddou along the newly asphalted connecting road. 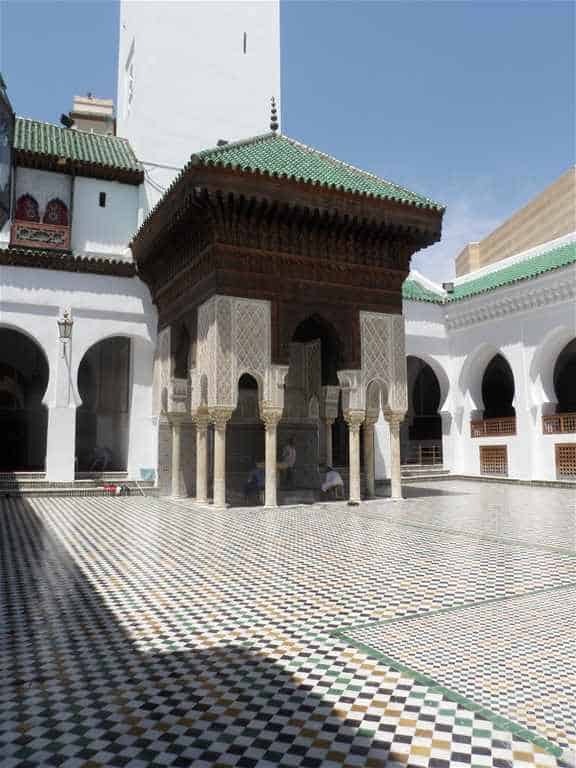 This is the most famous Kasbah in Morocco and is a UNESCO World Heritage site, which we visit after lunch. 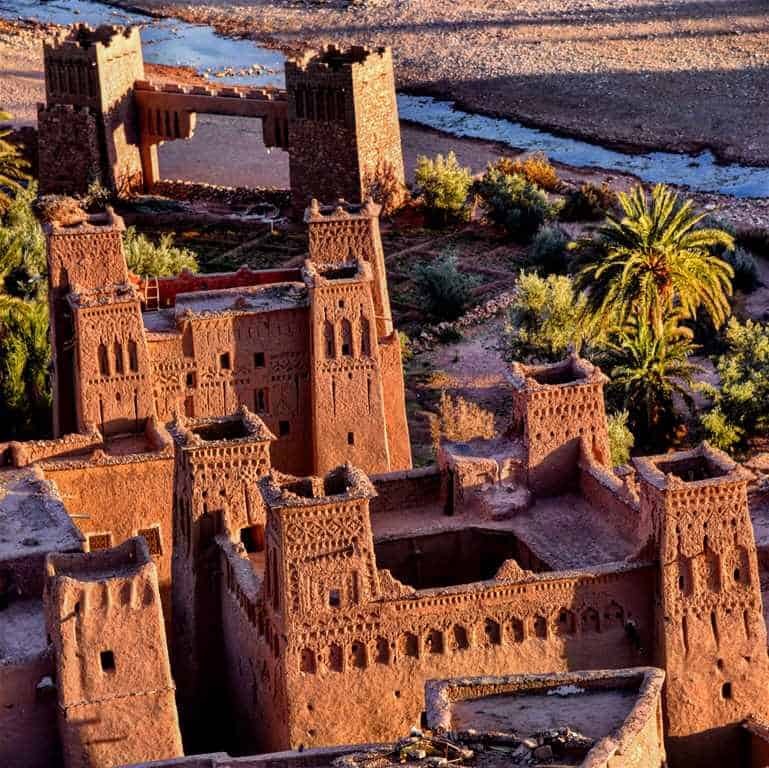 After visiting the Kasbah, you continue to Ouarzazate where you spend the night in a riad. After breakfast, you set out towards the Dades Gorge, passing the Skoura Oasis, where numerous ancient kasbahs, some sadly in ruins, stand amongst the palm trees. From here, our route takes us through Kela’a M’gouna, the Valley of Roses, famous for its Rose Festival in May. Here we stop to see the cosmetic articles which are made locally from the valley’s abundant flowers. 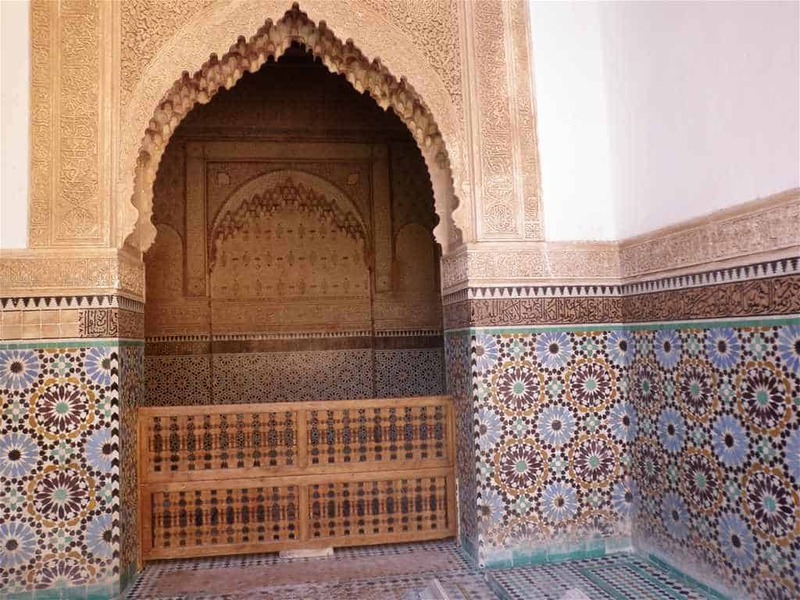 These products are well-known throughout Morocco and are highly valued. From here, you take an off-road route to have a better impression of the landscape. Along the way, you will stop at caves, used by whichever Berber nomads happen to pass and claim residence there. We will have a glass of tea with them before continuing to the Dades Gorge for lunch. 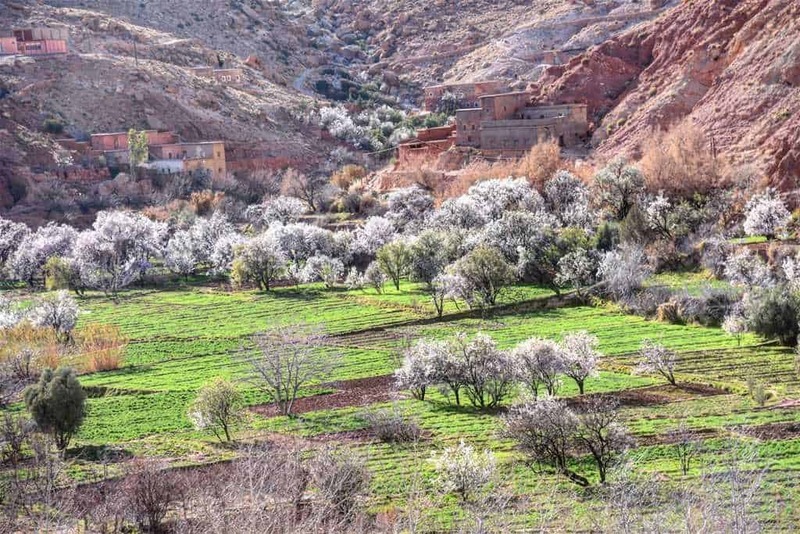 This leaves you half a day to walk in the valley, or to spend it relaxing or simply strolling by the fields and gardens, or having tea with a Berber family.you spend the night in a guest house . 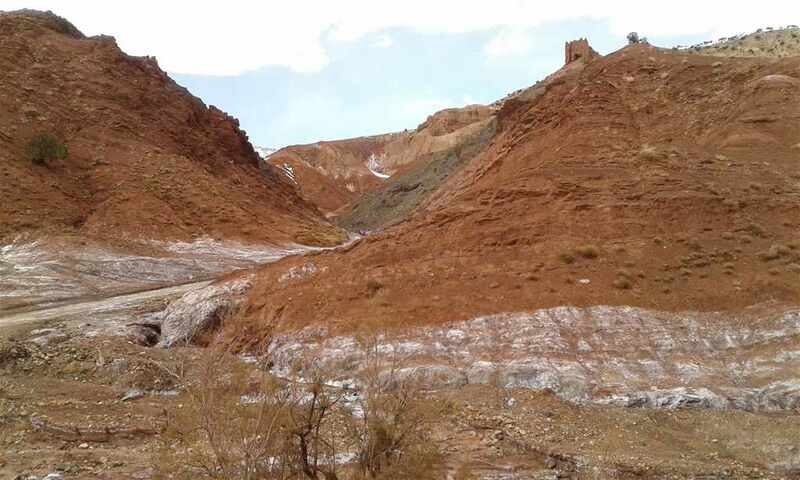 After breakfast, the trip continues a short distance to Tinghir and the very different Toudgha gorges where you can take a short walk to appreciate the steep sides to the gorge and the narrow expanse of the sky above. 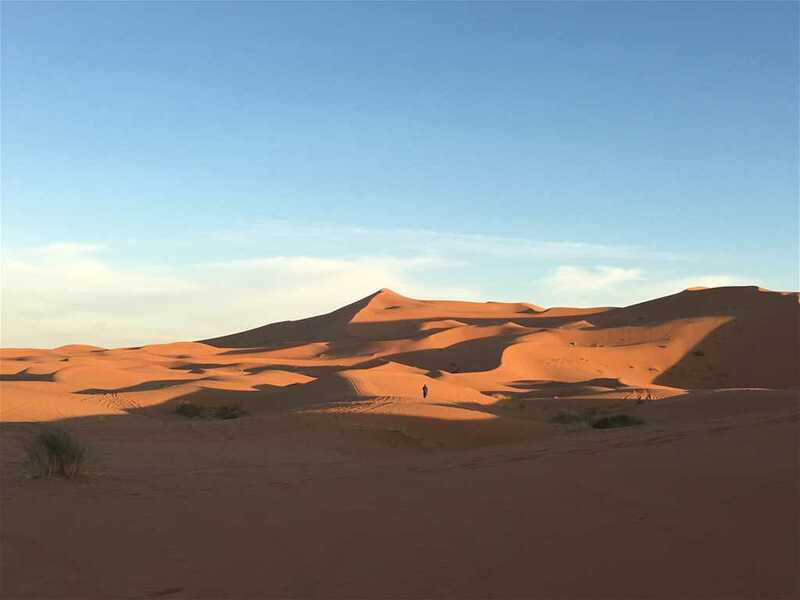 From there, you continue to the Chebbi dunes via Tinjdad, and the Oasis of Tafilalet near Erfoud, famous for its Date Festival, and Rissani, which is the seat of the Alaouite family of the present king of Morocco. Between Tinjdad and Erfoud, you can stop to go down into the fascinating underground water channels deep below the earth, always cool and preventing the evaporation of this source of irrigation. In Erfoud itself, you can stop to see the workings of thousands of fossils made into all sorts of artefacts. Lunch will be in a Berber village along the way. At the bivouac you are welcomed with a glass of tea before taking a camel ride to watch the sunset from the top of the dunes. 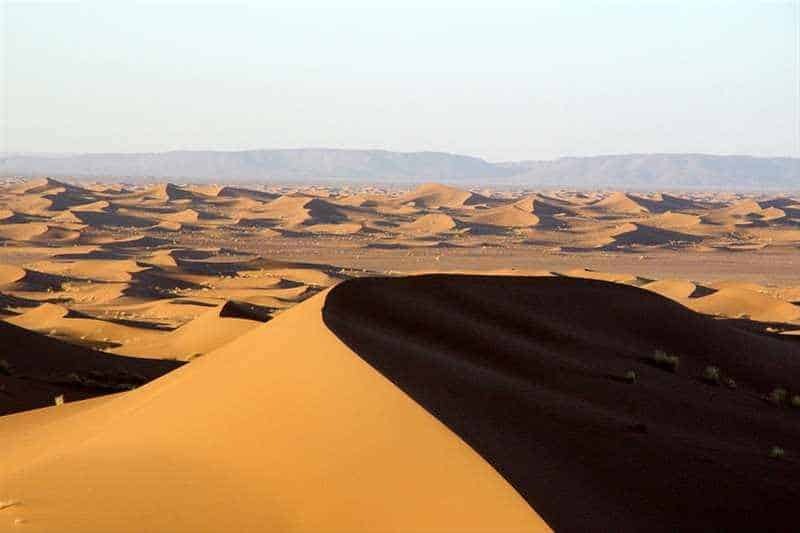 Later there is dinner and the night in a nomad tent at the foot of the dunes. After breakfast, departure for Rissani and Erfoud, where there will be a stop to see how locally found fossils are worked into furniture and artefacts. From there the road leads north to Er Rachidia and the Ziz Valley, remarkable for the extent of its palm trees. Lunch is in Midelt, which is called “the apple capital”, in the Middle Atlas and at the foot of the Ayachi Mountain. We cross the Tizi-n-Talremt pass and reach Azrou, where you can see Barbary apes looking out for tidbits. 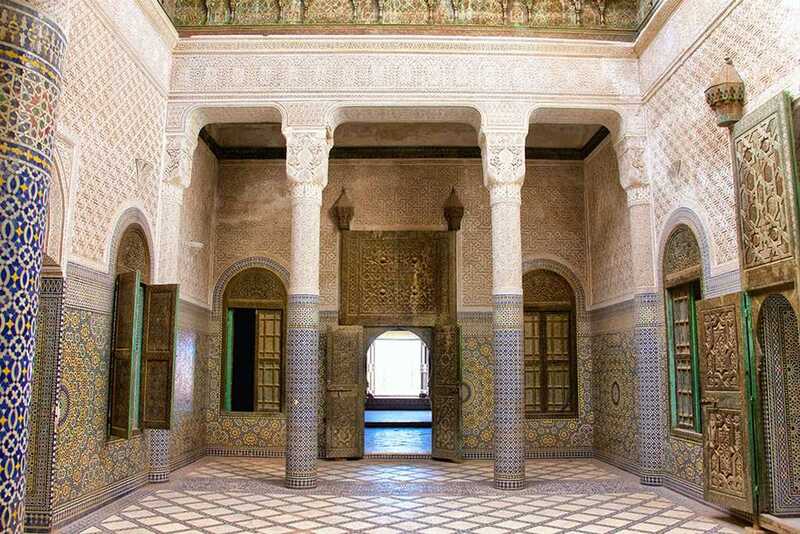 We reach Fez in the early evening. There is a 25% reduction for children under 12 years old whilst we do not charge for children under 5. The price for trips includes the transport in a private air-conditioned 4×4; Toyota Prado or Mitsubishi Pajero, and fuel. 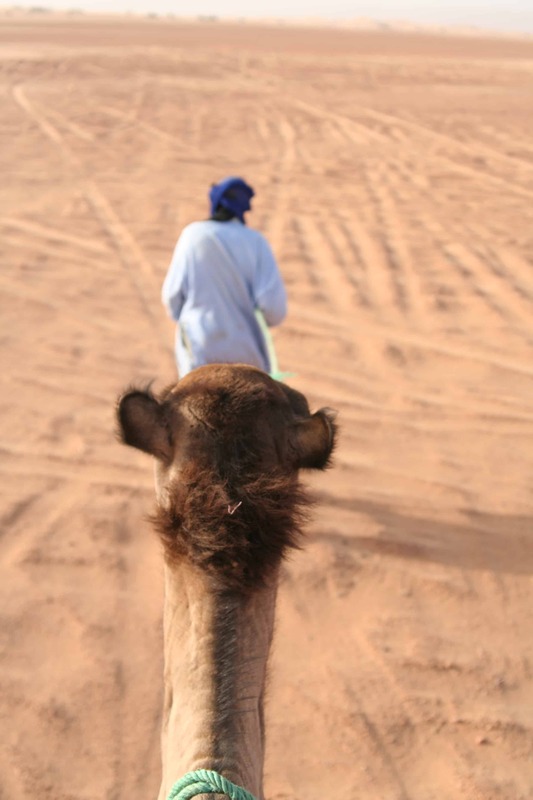 Experienced English-, French-, Spanish- and Italian-speaking driver / guide, all accommodation and meals as well as the camel ride on the relevant tours. Drinks and tips are not included. These prices are liable to fluctuation according to the current exchange rate.